Altar servers assist with preparations necessary for the celebration of the Eucharist and aid the priests during Mass. This ministry is open to all adults and young people who are registered in the parish and have made their First Communion. 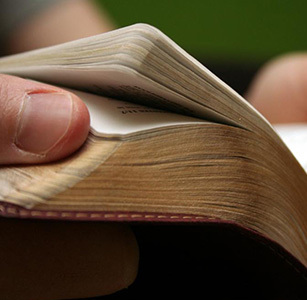 A youth server is required to attend the Faith Formation program for his or her age or a youth group program. Youth training takes place from September to April. Adult training is one-on-one throughout the year. Please contact Tom Moline at 941-776-9097 or email. Lectors proclaim the Word of the Lord during the liturgy and lead the General Intercessions. 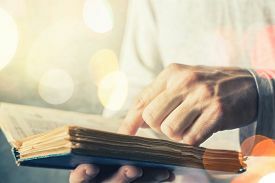 A lector must have a passion for Scripture and an ability to interpret and understand Scripture. This ministry is open to all adults and young people who have made their First Communion and are registered in the parish. Training sessions are required. Please contact Lydia Herrera at 941-776-9097 or email. We gather here at St Frances X Cabrini to celebrate the liturgy and music of the Roman Catholic Church, and while our vocal talents may vary, we unite as one voice to sing the participation of the ecclesia, which connects the liturgy to our lives. Our Music Ministry offers training and formation in the musical arts of the Church for all ages and all levels of experience, or non-experience. St. Frances Cabrini Church has an active Homebound and Nursing Home Ministry. Extraordinary Ministers visit our Parish Members who are unable to attend Mass due to illness or physical incapacities bringing them the Eucharist on a weekly basis. If you know of a parishioner who is unable to attend Mass due to illness please call the church office (776-9097) to notify the Homebound Ministry. This can be for a short illness, recovering from surgery or for long term. If you know of a parishioner who is admitted to a nursing home for rehab or for long term care please call to notify the Homebound Ministry. 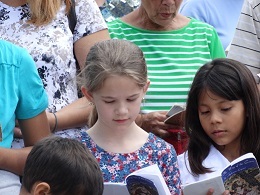 The role of the Extraordinary Minister of the Eucharist, or Eucharistic Minister, is to assist the celebrant in the distribution of the Eucharist at every regularly-scheduled weekend Mass. Eucharistic Ministers serve with dignity and reverence at God's presence in the Eucharist. 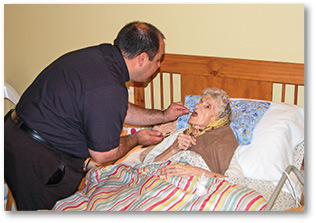 In addition to serving at Mass, Eucharistic Ministers may, on occasion, bring Christ to the ill and homebound. Training is performed at the church by appointment. Please contact Rick Poplstein at 941-776-9097.